More fun than any civilization’s fiery extinction should ever be, Paul W.S. Anderson’s Pompeii 3-D is gloriously exciting kitsch – a poor man’s Titanic crossed with an even poorer man’s Gladiator. We all know about the explosive demise of the titular Roman city, turned to ash and stone by the eruption of nearby Mt. Vesuvius back in 79 A.D. Over the years, it’s captured the imagination of many artists, particularly E. Bulwer-Lytton, whose 1834 novel The Last Days of Pompeii inspired many (very loose) theater and film adaptations. Previous film versions have tried to add poetic dimension to the tale of this decadent city’s comeuppance. Often, as in King Kong visionaries Merian C. Cooper and Ernest B. Schoedsack’s 1935 film or the classic 1959 Italian peplum starring Steve “Hercules” Reeves (and ghost-directed by Sergio Leone), the story becomes one of Christian sacrifice overcoming Roman venality on the eve of an apocalypse – an end-times tale in microcosm. But the fiery calamity at the end is the thing, always. We see early glimpses of the volcano in this new Pompeii, bubbling and smoking well in advance of the third act – which lends the film’s simple tale of love and revenge an aura of doom. The story proper starts in the British Isles, where a young boy named Milo watches his parents slaughtered by Romans during the Rebellion of the Celtic Horse Tribes. 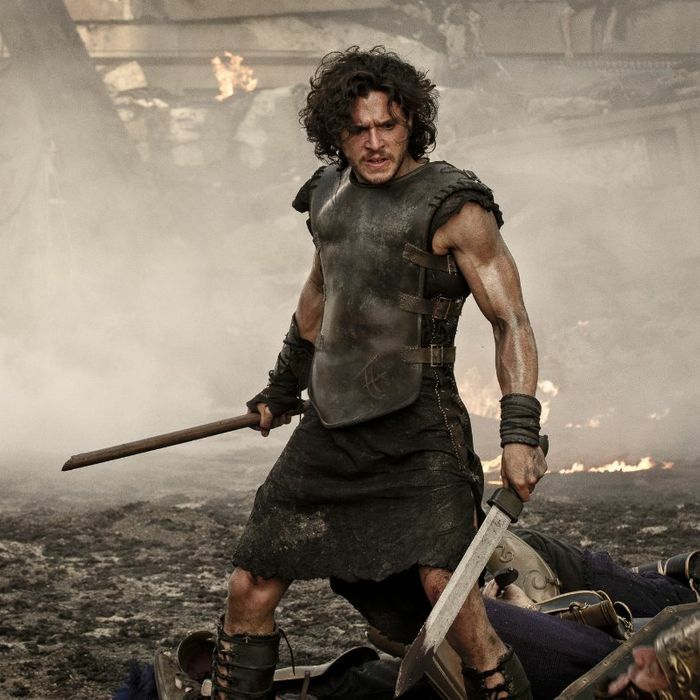 Captured as a slave, Milo (played as an adult by Game of Thrones’ Kit Harington), grows up to become a gladiator, known as The Celt, whose prowess buys him a one-way ticket to the decadent resort city of Pompeii. As presented here, the town is a colorful, atmospheric wonder nestled at the foot of the hulking Vesuvius – you get religion just looking down the street and seeing that godlike mountain looming in the distance. Also headed to Pompeii are the beautiful aristocrat Cassia (Emily Browning), not to mention Senator Corvus (Kiefer Sutherland, doing what appears to be a Donald Sutherland accent), the man responsible for slaughtering Milo’s parents so long ago. Milo and Cassia have a meet-cute over a dying horse, and it’s love at first sight. But Senator Corvus wants the girl for himself. And because Cassia’s father (Jared Harris) is a public official eager to renew Pompeii’s infrastructure, and thus dependent on the Senator’s pull and largesse, our heroine is soon promised to the evil, sneering Corvus. Meanwhile, Milo becomes best friends with Atticus (Adewale Akinnuoye-Agbaje), the African slave he will soon be forced to fight to the death. As manly men do in films like this, the two playfully joke over which one of them will die tomorrow. That’s not a particularly original story, but it gallops along at a nice clip, with the good guys appropriately gallant and breathless and the bad guys appropriately smug and snarly. Soon enough, axes and spears and bodies are flying through the air. And whether it’s elaborate gladiatorial battles or a chariot chase through a burning city, Anderson directs with precision, rhythm, and ruthlessness – he has an eye and an ear for violence, for the visceral impact of a kill. At his best, he creates action sequences in which you feel anything might happen, even though you usually know how they’ll turn out. And the ones in Pompeii are more engaging than those of any superhero movie I saw last year. 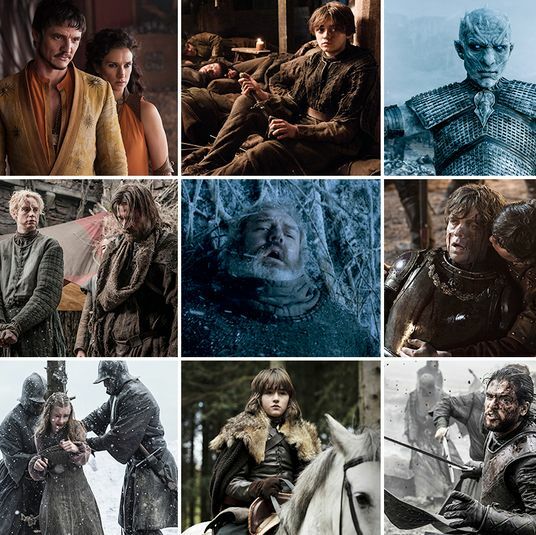 But all the combat in the world can’t quite match the sheer scale of the destruction of the film’s finale, as 3-D fire and ash rain from the skies, tsunamis consume throngs of innocents, and oceans of lava lay waste to forests and buildings. Anderson is not an engineer, a la James Cameron, or a humanist, à la Steven Spielberg – you will find none of the intricacy of a Titanic or the mournful, grand scale of a War of the Worlds. Rather, he’s more like a young boy, playing with his action figures, watching them melt and burn with a combination of horror and glee. And he does so with style, letting the volcanic calamity enhance his characters in obvious, though still compelling ways. The bluster of gladiators becomes macho poetry when uttered in the face of this fiery cataclysm. Meanwhile, the disaster renders the villains even pettier, and the devoted lovers even more romantic. That is all as it should be. From Bulwer-Lytton to Leone, the Pompeii story has never not been schlock: It ain’t the Bible, and it ain’t Homer. In this gorgeous, silly, exciting new version, it finds its level. Pompeii 3-D wants merely to entertain. And it does, proudly.